Hello again Macro-lovers! Today I would like to write a topic that is not directly related to Macro Photography (or any forms of Photography)- Computers! Now that post-processing has become an important part of photography, having a good computer has become more important to allow faster and more efficient processing of your photos, regardless of genre. For those who know me personally, you would know that I am an active forumer in Malaysia’s largest forum- Lowyat Forum. I spent around 3 years recommending laptops to eager buyers in the Mobile Computing section; where I have also gone through the trouble of cataloguing the details and prices of every single notebook in the current market within Malaysia. People like to consult me for laptop recommendations, mainly because I am not a laptop seller- fair judgement. Now that I am into photography, the experience and knowledge that I have gained as a laptop guru has really come in handy since I know what exactly is required for a good computer (both laptop and desktops) that is more suited for Photography, which I intend to share with you guys today. Choosing the right notebook will give you a significant edge in whatever computing process you run. Choosing the wrong notebook will probably give you nightmares and slow you down. The CPU is the brain of the entire notebook, which is in charge of all the calculations that take place with your every instruction. Despite being the most important part of the notebook, the CPU is but a tiny silicon chip embedded on the motherboard- a circuit board connecting all components together. CPU performance is gauged in terms of clock speed, usually measured in Gigahertz (Ghz)- in general, the higher the clock speed, the better the processing power. The higher the number of processing cores, the better the processing power too. However, the better the processing power, the higher the heat generated, so is the energy consumption. The CPU can run very hot when the notebook is under load, which is why you will often find the CPU connected to a heat sink for cooling. High temperatures may damage internal components of the laptop, including the batteries. A computer with a good CPU will allow fast image rendering and multi-tasking. Programs like Adobe Photoshop may use up a lot of processing power when, say you are trying to auto-align numerous photos for stacking or panoramic shots. Of course, most people won’t just use their computers to only run Photoshop; a good CPU will allow other programs (internet browsers, videos, music etc.) to run lag-free even when Photoshop is doing its thing. Which CPU to choose depends on the balance you want in between performance, portability and price. A powerful CPU (i.e. Intel i7 quad-core processors) will be able to handle all the tasks you throw at it, but generates a lot of heat, consumes a lot of battery power and is expensive: Not really suitable if you are looking for a slim laptop and if you always run your laptop on batteries. A decently-powered CPU (i.e. Intel i5 or i7 dual-core processors) offer balance in terms of performance, portability and price. Although not extremely good at processing and multi-tasking, it is a great option if you are always on-the-go. A weak CPU (Intel Celeron etc.) may be highly affordable, but it is only suited for normal web browsing and office work, not really recommended for advance photo editing. A computer’s “short term” memory, RAM “remembers” tasks that you have recently instructed (programs you have recently opened and closed etc. ), enabling fast re-access. Currently RAMs are marketed in Gigabyte (GB) capacities. Most laptops have one or two RAM slots: You just need to buy a compatible RAM and slot it in and it will work immediately. (*Take note that the RAM may be soldered to the motherboard in ultra slim notebooks). Many applications (e.g. Google Chrome, Photoshop, Lightroom, Microsoft Office etc.) require RAM in order to function properly. This is especially true when you open them all at the same time (called multi-tasking). The more RAM capacity that you have, the better. In general, 4GB is the minimum amount of RAM for normal computing. For photo editing, it is good to have at least 8GB RAM; best if around 12GB-16GB RAM. As aforementioned, RAM can be upgraded later on. RAM helps a lot in multi-tasking, definitely worth investing in. A computer’s storage media enables the storing and retrieval of digital information. The capacity of this storage is again in Gigabytes (GB). Most notebooks run on “conventional” HDD, essentially a rotating disc storing all the data. The data reading speed depends largely on the rotational speed of the disc; the faster the reading speed, the faster the opening of files, programs etc. SSD technology has been around for quite some time now, but its not until ~2009 that they became popular. Relying on circuit boards for storage of data, an SSD (essentially an oversized thumbdrive) involves no moving parts and are thus lighter, much faster, runs cooler, lasts longer and are less prone to physical damage. However, SSDs have lower storage space and a higher price tag in general. Apart from HDD and SSD, manufacturers are also offering mSATA SSD + HDD “hybrids” or Solid State Hybrid Drives (Momentus XT SSHD from Seagate) which offers features and performances in between those of HDD and SSD. A notebook with a full SSD will allow you to enter Windows within ~10 seconds, and start Photoshop CS6 within ~4 seconds whereas a conventional notebook running on a HDD will probably take 2-3 times the time. Having an SSD will let you open numerous photos faster too. So, if you have the budget, definitely get an SSD. Otherwise get a hybrid SSD/HDD, followed by a HDD (7,200rpm rotational speed) and lastly HDD (5,400rpm). Although overlooked by many, the overall speed of a notebook is most bottlenecked by the HDD reading speed. It is thus best to opt for the fastest storage media whenever possible. However, sadly full SSDs are mostly only available in ultrabooks (ultra slim notebooks or MacBook Airs) in Malaysia. However, you can always buy a SSD and a caddy (container for the SSD) to replace the original HDD of the notebook yourself. Some buyers may complain that SSD storage space is too limited, this can be easily resolved by getting external HDDs or even using SD cards for increased storage space. 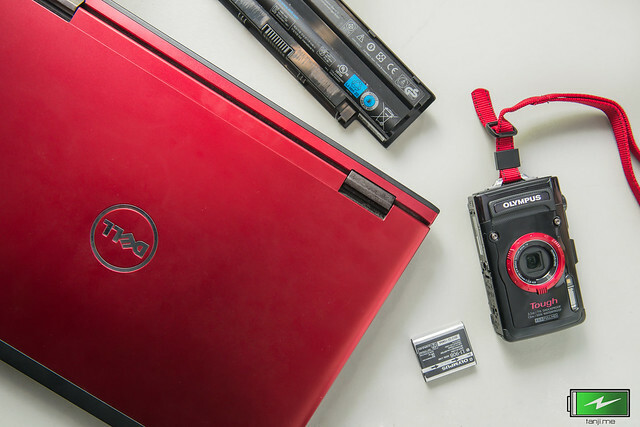 For photography, it is best to store your photos and access or edit them in external HDDs i.e. using them as scratch disks. This will lessen the burden on your computer’s (internal) SSD or HDD. Your notebook displays everything onto the screen, and the quality of images (i.e. sharpness, colour accuracy and vibrancy) that you see depends very much on the screen that you have. Selection of a proper screen is important as it will not only affect post-processing, but your entire computing experience as well. The specifics of notebook displays can get really complicated, but let’s just focus on four: screen size, screen type, screen resolution and screen finishing. – Screen size. The screen size is related to the size of the laptop, and can range from a tiny 10.1″ to a whopping 18.4″. Which screen size to choose depends very much on user preference- some prefer small, portable machines, whereas some prefer large entertainment powerhouses. Even though notebooks with larger screens tend to be bulkier, heavier and drains more power, users do get much more working/ viewing space: spectacular for photo editing, spreadsheet work or simply movie watching. – Screen type. A screen is usually consisted of a panel and a backlight. The latter functions in generating light required for the panel to work, whereas the panel itself is a thin layer capable of generating the colour as well as the overall display. Mainstream notebooks are mostly equipped with TN panels (of varying qualities) with WLED backlights, whereas newer generation tablets and ultrabooks feature IPS panels instead. Although the resulting output of display panels of different qualities may be intangible to the untrained eye, there will always be variations in terms of black and white levels, colour gamut, screen brightness etc. which may be very important, depending on your level of requirements in photo-editing or publishing. –Screen resolution. Screen resolution indicates the density of pixels (small dots) cramped into the screen. The four most commonly seen screen resolutions are: HD (1366×768), HD+ (1600×900), FullHD (1920×1080) and qHD (3200 x 1800). Higher resolutions basically gives you a larger workspace- you would be able to see more within one screen. Still, higher resolution is not always better, particularly so when used on a small-sized notebook: words and images may become so small that your workflow will be affected. Having more pixels will also translate to higher workload for your laptop’s graphic card (GPU; see below), especially in gaming. The quality of your monitor is extremely important for photo editing. Having a good screen will allow you to produce accurate, true-colour photos on top of easy detection of flaws (e.g. dust spots, distortion, vignetting etc.) in your photos. However, do take note that not all screens are colour-accurate out-of-the-box; you might need to calibrate colour accuracy manually. Basically, if you are not concerned with portability and budget, get a notebook with the larger screen and highest resolution (i.e. 17.3″- 18.4″) or just get a desktop + external monitor . However, if you are always on the move, try and get a 15″ notebook with FullHD IPS screen, they usually offer a balance in terms of performance and portability, without compromising too much on the photo-editing experience. For road warriors who travel with their laptops but prefer to only do post-processing at home can consider getting a 12″-14″ standard notebook plus a large external monitor (place at home, of course). Apart from the integrated GPU that comes along with the processor, some notebooks will have an extra or discrete GPU to cater to users who require more graphic processing power i.e. games, some photo editing or 3D modelling. Also known as a graphic card, a GPU is specialized for rapid generation of images to be displayed onto the screen. Two of the largest GPU manufacturers now are Nvidia and AMD. Although you do get more graphic-associated capabilities, having a GPU will mean a higher price, higher waste heat and power consumption, so it is not exactly a must-have. The newer generations of Photoshop make use of the graphic card to enable a visually smoother interface. However, this does not really affect the actual photo-editing process. Most of the time the integrated GPU within the CPU is sufficient- A dedicated GPU is not really needed. However, if you are into other applications, especially gaming, then a GPU can be considered. Performance of a GPU can be best gauged by looking at performance benchmarks (not the numbers on the specs-sheet!). A dedicated graphic card will give your laptop an extra boost when it comes to graphic applications. Nvidia and AMD are the two main producers of GPU as of now. A slim and powerful beast. 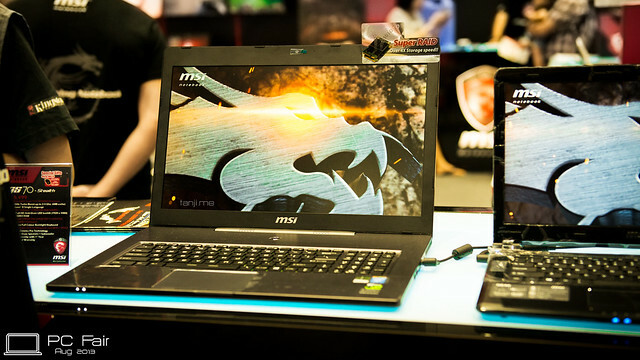 A 17.3″ MSI laptop which offers both portability and performance. 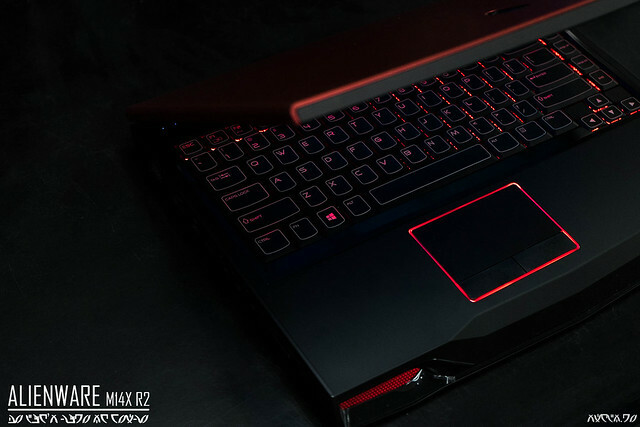 A laptop like this will make a great travel companion and is quite suitable for not only photography, but also gaming. Operating System– pretty much Mac OSX and Windows; which one to choose depends on user preference, and also which OS most of your friends are using. Connectivity– make sure the laptop has proper ports, card slots etc. for your photographic needs. Design and craftsmanship– make sure you like the laptop you buy; after all, you will be stuck with it for many years to come. After-sales services– warranty support is always important, for you will never know when an electric device will start acting up. Battery capacity– a larger battery will be heavier, but will provide more juice for those who are always on the run. 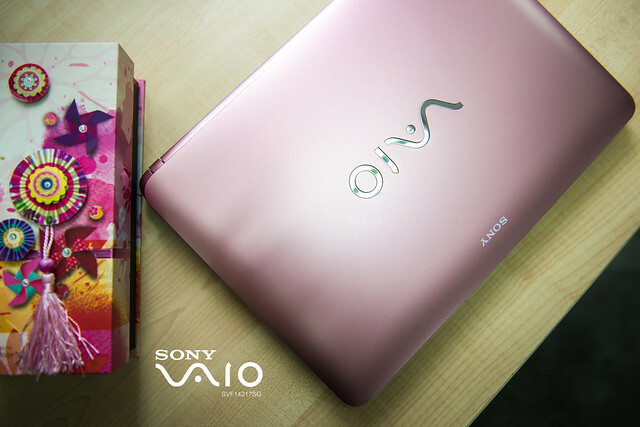 You don’t always have to go for the notebook with the best technical specifications for the price. If design and looks are important to you, then choose the laptop that you like the most (but make sure it fits your usage). Well, that’s it! I hope this article has helped you in selecting a good notebook for photo processing. Please feel free to ask if you have any enquiries! Thank you and see you guys next time!